Note: To run Spotify you need the latest firmware version of your Chromecast device, so it may not work in non actualized ones. With Spotify you have access to a world of music. You can listen to artists and albums or create your own playlists with your favorite songs. You want to discover new music? 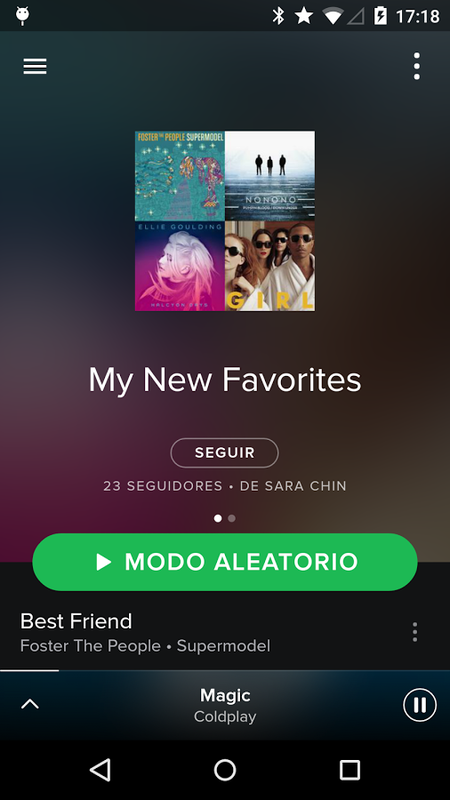 Choose a ready-made playlist to go with your mood or receive personalized recommendations. What about Spotify you do not know already? 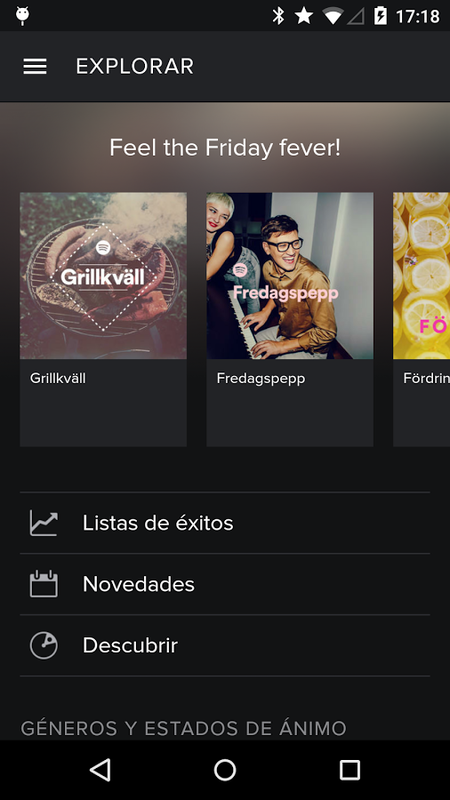 Well, maybe you did not know that Spotify is now free on mobile and tablet. In mobile you can listen to any artist, album or playlist in shuffle mode. And in tablet, any song whenever and wherever you want. Listen to music wherever you are perfect. Note: Spotify is free but you will hear commercials often enough. It has a premium service if you subscribe to the application. With the premium service you can hear the song you want when you want and on the device you want: computer, tablet or mobile. Download music to listen without connection and not have to endure advertisements every moment. Spotify now supports Chromecast, whether or not you’re a premium user =).